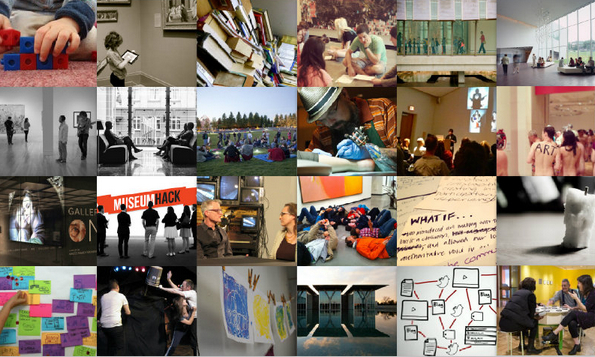 As the second year of the ArtMuseumTeaching site wraps up, I thought it would be good to post a brief review of the past year as well as some thoughts as we look ahead in 2014. Not that we need any more end-of-the-year lists or calls for resolutions, but I think it can be meaningful to take a minute and look back at some of the issues that have been on our minds this past year, and imagine a bit about what is on the horizon. From 3D printing and hacking the museum to MOOCs and the value of museum field trips, there have been a lot of interesting and sticky topics that we’ve discussed here on this site. 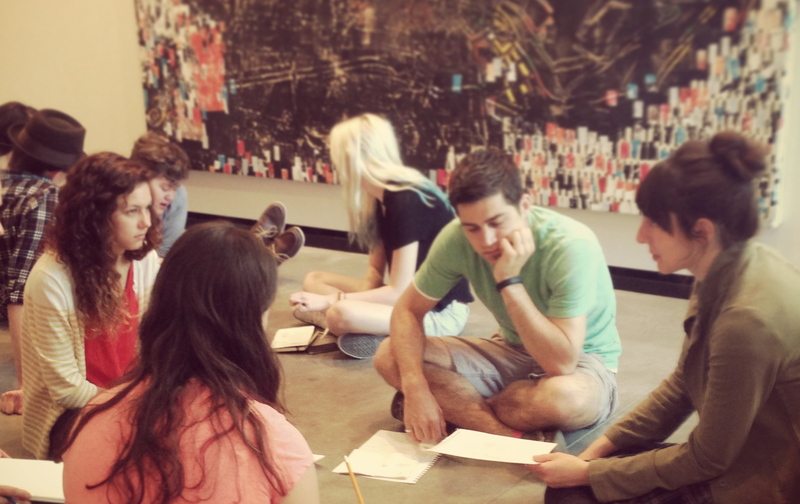 Through its second year, the ArtMuseumTeaching community has continued to grow. Doubling the number of authors, adding 39 new posts, starting a new Google+ Community, and now reaching readers in 143 countries, interested contributors and readers have pushed this site to new heights in 2013. I hope that the online community and conversation around this site will continue to grow, include more diverse perspectives, and be a space of exchange where we can connect on issues of teaching, learning, and community engagement that matter most in museums. “Is This Art? Tales from 3 New York City Educators” (June 2013): Rachel Crumpler, Jen Oleniczak, and Shannon Murphy got together and shared with us the most common “Is this art?” situations they’ve encountered — from grumbles and snarky looks to “pfft, that’s disgusting” and “my four-year-old could do that.” Great tales we can all relate to, and some excellent strategies for tackling these awkward (yet extremely teachable) moments. 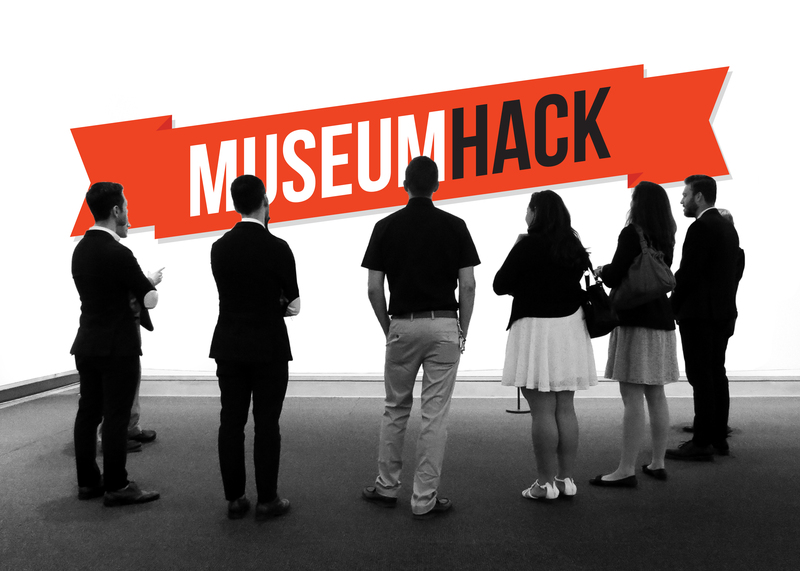 “What is Museum Hack?” (December 2013): Museum hackers Mark Rosen and Jen Oleniczak recently described how a group of renegade museum lovers can get people really excited about museums. 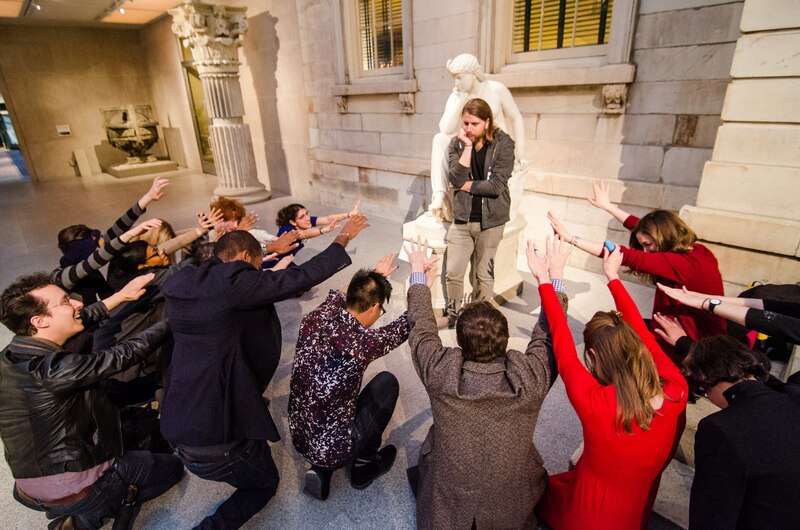 Leading creative and thought-provoking tours at the Met, Museum Hack is certainly getting museums and museum educators to ask some interesting questions about what we do. Jen and I connected via a tech-challenged Google Hangout before the end of the year, and were able to address some of the questions about ‘hacking’ museums for positive change (see video archive embedded in the post). 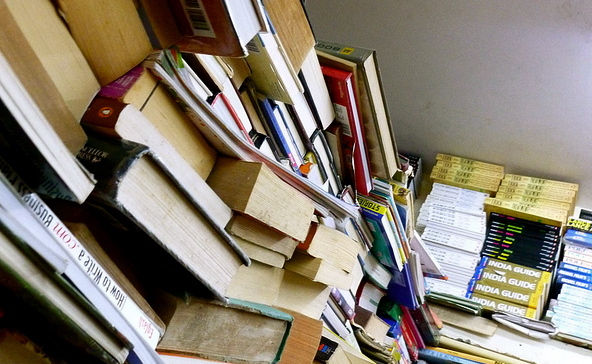 “Do Museum Educators Still Have Time to Read Books?” (June 2013): In an effort to ‘bring back the books,’ ArtMuseumTeaching launched its Online Book Club this summer. 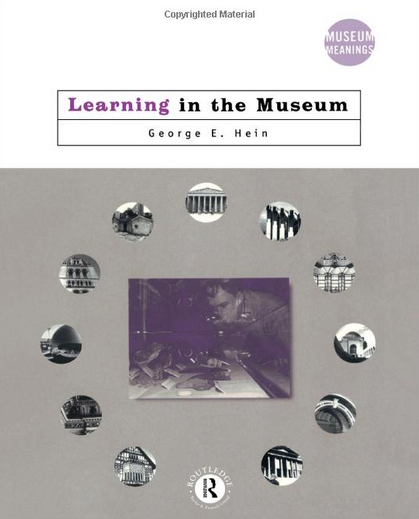 Far from MOOCs, the two book club discussions were intimate exchanges that focused on books that have not popped to the best seller list: one very meaningful new volume entitled Museums and Communities (edited by Viv Golding and Wayne Modest) and a classic text re-examined, George Hein’s Learning in the Museum (first published in 1998). While it is always a challenge to carve away time to read, I hope we can continue the Online Book Club in 2014. 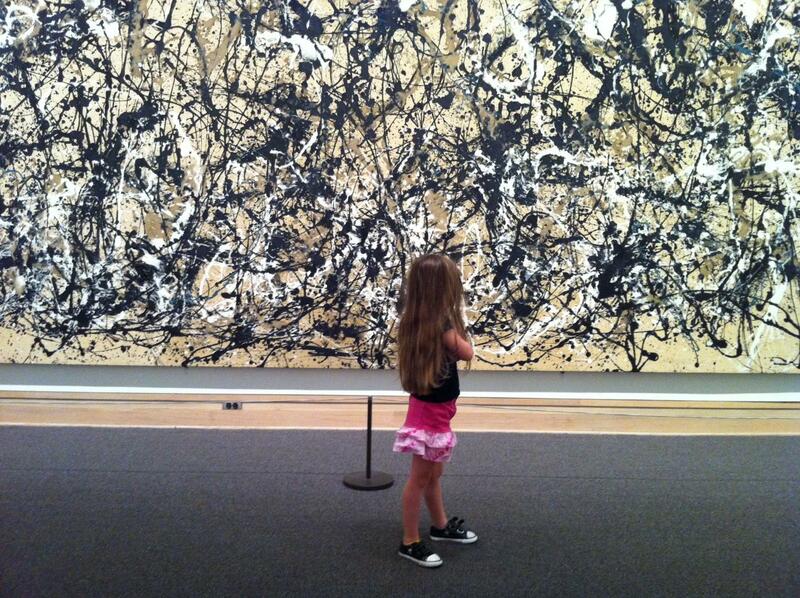 “What’s the Value of an Art Museum Field Trip?” (September 2013): It is important for us to remember that 2013 saw the first-ever large-scale, random-assignment experiment of the effects of school tours of an art museum — thanks to the incredible research team pulled together at the Crystal Bridges Museum of American Art. Anne Kraybill shared with us the results of this significant research; findings which help to make a more rigorous case to administrators, policy makers, philanthropists, and educators that there is significant value in a field trip. 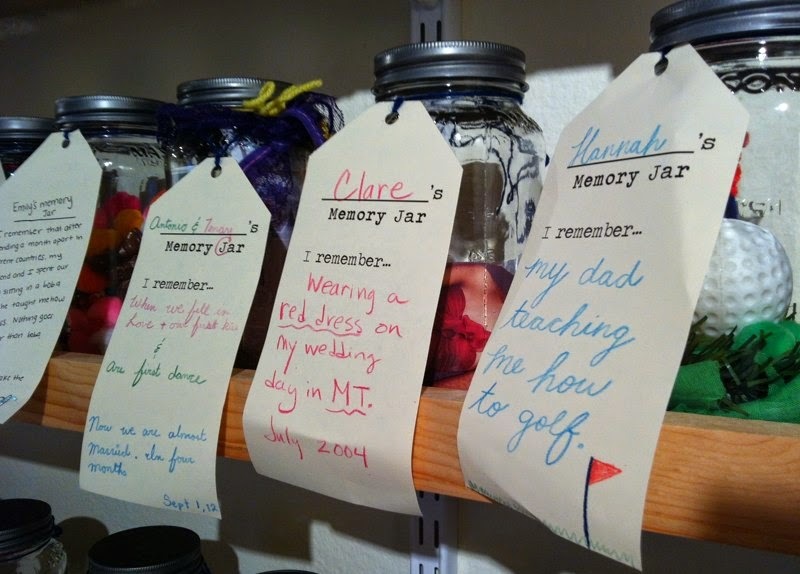 “Teaching for Independence: Empowering Learning in the Art Museum” (May 2013): For me, it is still always important to see ArtMuseumTeaching as a site where we can share our own daily teaching practice — since this is where the blog started for me, personally, back in February 2012. I was excited to share an experience I had with a group of Portland State University students, thinking about how an educator can empower visitors to learn to begin to see looking and learning with art in a more active, participatory way that also allows for shared authority around knowledge and interpretation. The post was also a collaboration with Art History Teaching Resources (AHTR), a peer-populated teaching resources site begun by Michelle Millar Fisher and Karen Shelby that promotes discussion and reflection around new ways of teaching and learning in the art history classroom — a collaboration that I know will only grow in 2014. As we look ahead to this new year, there is so much potential and possibility. In addition to the great posts and contributions already mentioned, 2013 was a great year for collaborations and partnerships. ArtMuseumTeaching has been connecting with so many other exceptional blogs, online communities, and digital networks, and I know that is going to grow and expand in the year ahead. 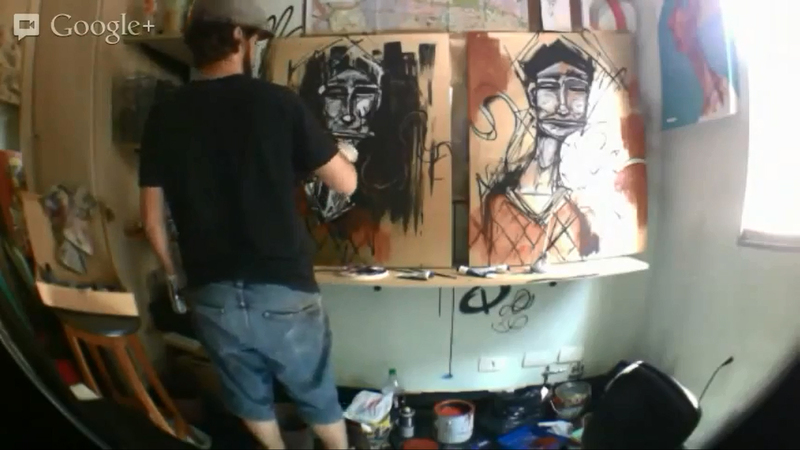 We’ve also been experimenting with using Google Hangouts as a way to connect people, and I hope to push that a bit farther in 2014 (perhaps even experimenting with connecting our gallery teaching practice via Hangouts or video connections). For 2014, I am also excited to be working on ArtMuseumTeaching’s first-ever “gallery teaching marathon” that will happen during the National Art Education Association national conference in San Diego this year. So if you’re interested in experimenting with a new teaching strategy or just seeing some great museum teaching, please stay tuned. As soon as we have all the details confirmed, I’ll be sharing this with everyone! And if you’re interesting in helping coordinate this, definitely let me know — I think we’ll need a few hands on deck to make this work. The year ahead certainly promises a whole new set of challenges, success stories, and new ways of thinking about both the theory and practice of art museum teaching. If you would like to share the projects you’re working on or the issues and challenges you are grappling with, please add your voice to this growing community (and just send me a tweet at @murawski27). Happy New Year! 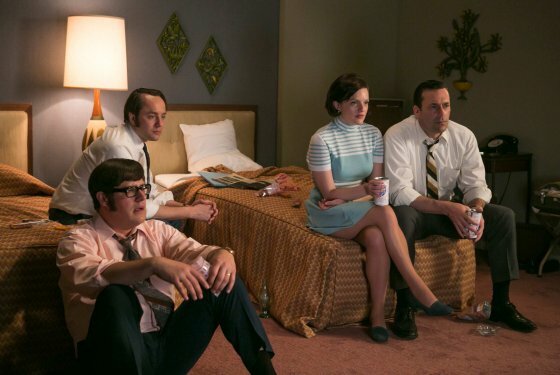 Have you ever gotten home from a conference abuzz with excitement about all the new ideas, people, and programs you’ve learned about and discussed? If so (after you finally recover from all that intense thinking), I’m betting you then thought: “Wow, it’d be great if I didn’t have to wait a full year to get a taste of that again.” Well, that’s exactly why we began a Peer-to-Peer Initiative for the National Art Education Association’s Museum Education Division — to use technology to connect with colleagues and share our ideas and programs in an informal way, outside of conferences. So, please join us for any or all of the below Peer-to-Peer Hangouts this month! Each is about an hour and they are open to all museum educators, regardless of whether you’re an NAEA member.You can find detailed login information for each Hangout on the NAEA Google+ Page. Some friendly reminders on how to Hangout — be sure that you sign up for, or activate, a Google+ account (not just a Gmail account). 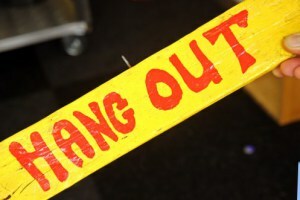 You can’t actually “hang out” if you don’t have Google+! Find instructions here. Once you’ve got an account, add NAEA Museum Education Division to your circles so you can easily join in the Hangout event. And if you need more details on how to Hangout, there are some more materials on how to join in on the NAEA Museum Education Division page (scroll down a bit to find the resource). And of course, once you’re hanging out with us or after you watch an archived Hangout, join the conversation on Twitter using #MusEdPeers! Since this is a pilot, we’d love to hear feedback from you as the Hangouts launch. Similarly, if you have an idea for a future Hangout, post it on our Google+ page or contact Michelle Grohe or me. We can’t wait to Hangout with you soon! Editor’s Note: As ArtMuseumTeaching stays connected to NAEA’s Peer-to-Peer Initiative and all of these fantastic Hangouts, you’ll be able to find discussions and links to post-hangout video archives here, as well, on this sites Google+ Hangout section. So let’s all get connected, and spread the word! 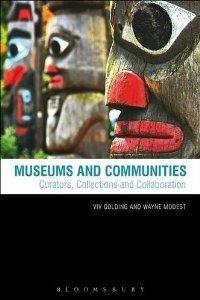 But how do we—as museum and arts education professionals—maneuver within a technology-mediated world in a way that allows us to cultivate productive, human-centered networks and communities? 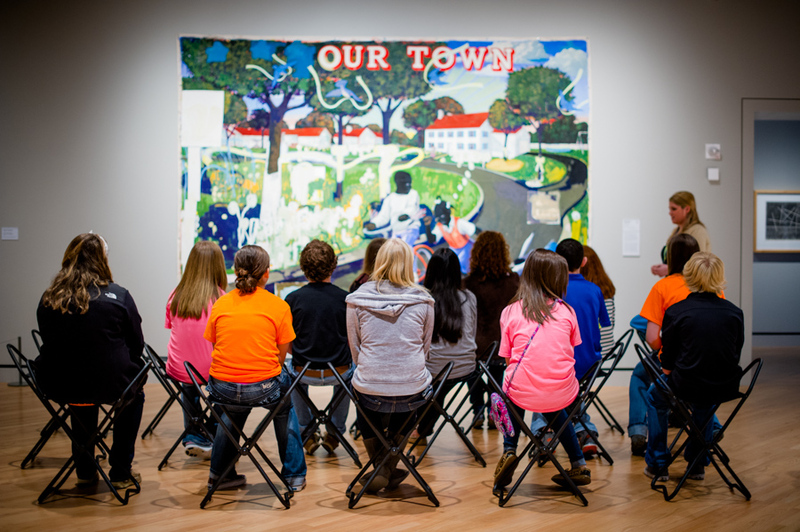 Museums and schools have been widely engaged in how digital media and technology can connect them with their students and audiences. But what about the potential of these same technologies to build entirely new “communities of practice” among professionals—whether art teachers, university faculty, or museum educators? These questions are at the core of a series of conversations that we will be facilitating over the next several weeks, centered around a panel discussion that will be part of the National Art Education Association annual conference in Fort Worth at the beginning of March. Through these organic and open conversations, we hope to begin exploring models of human-centered professional exchange and peer networks suited to the increasing complexity, connectivity, and velocity of the 21st century. Drawing on innovative work from the National Writing Project (such as Digital Is), sites of exchange such as this one (ArtMuseumTeaching.com), and connected learning models developed with MacArthur Foundation’s Digital Media and Learning Initiative, we’ll be discussing how online networks and communities can harness the power of emerging technologies and social media to share, collaborate, curate, and participate with peers both today and in the future. One way to more easily digest this sizeable topic is perhaps to take it one bite at a time. So we’re excited to be facilitating two public “on air” Google Hangouts along with the session at NAEA—one hangout prior to the conference to take that first bite, and one a couple weeks after the conference to extend our thinking and perhaps follow-up on questions raised in the panel. The online Google Hangout format also allows us to potentially engage a wider range of people than just those attending the NAEA conference, while at the same time practicing one of the most widely used technologies for face-to-face online engagement. For this preconference conversation on Google Hangout, we thought we might simply ask: “what do we want from online communities of practice and peer networks?” What online networks and communities are you involved with? When you consider jumping into a new online community, what do you hope it will achieve? What types of exchanges and experiences keep us engaged and prevent us from leaving (or ignoring) the online network? During this conversation, we were able to gather your thoughts, questions, and experiences which will inform our discussion at NAEA on March 7th. Couldn’t join the Google Hangout? Watch the broadcast above, and please add your thoughts and perspectives to the “Comments” section below, and we’ll utilize this space to keep the conversation going. At this session, we gathered with a great group of peers to share some of our own experiences working as developers, researchers, and participants in online networks and communities of practice, but also spent time opening up the conversation about key issues (many pulled from the preconference Google Hangout). For example: how do we promote online ‘contributing’ instead of just online ‘visiting’ when it comes to these experiences? 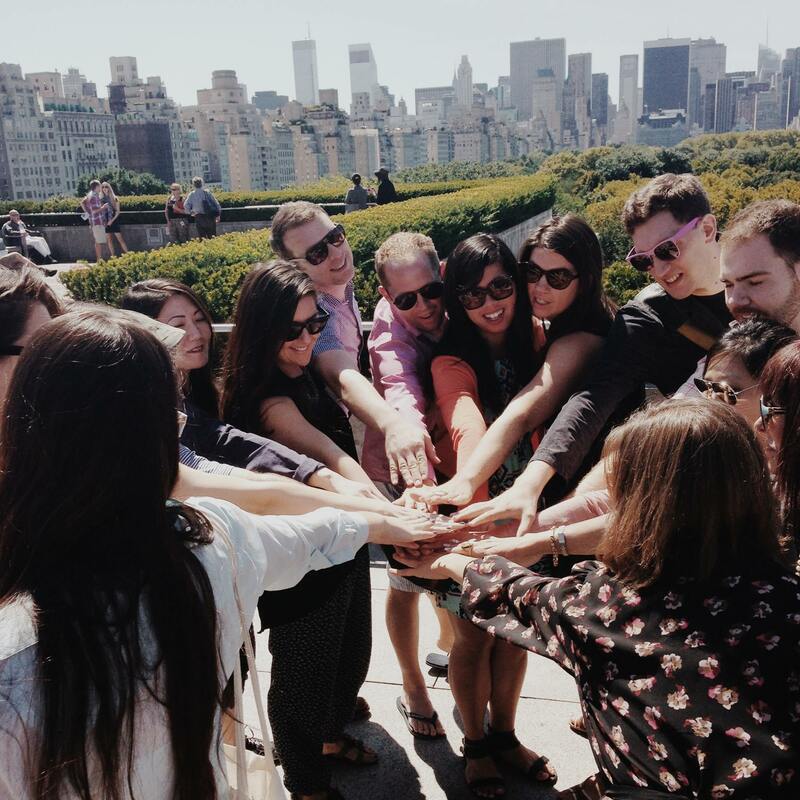 What are some ways to build co-learning interactions online? Couldn’t attend the session? 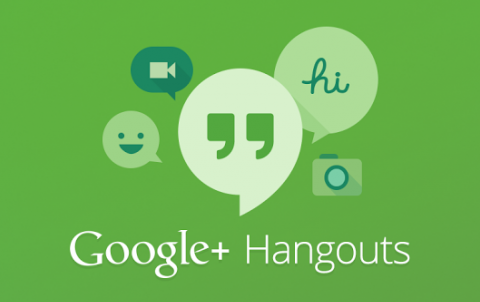 Please feel free to connect with either of the Google Hangouts, or chime in via the “Comments” section below. One of the most difficult things to motivate busy museum and education professionals to do is to reconnect online after the conference or workshop. While we all know the values of extending these relationships and opportunities to reconnect, it can be so difficult to make these a reality. 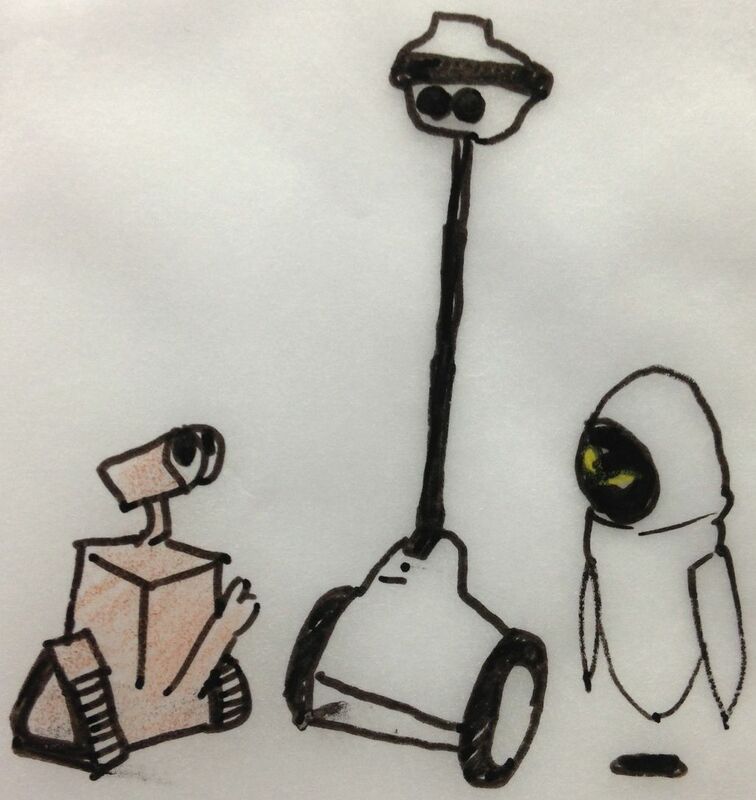 It only seems appropriate to make this one of the topics of our own ‘digital follow-up’ discussion. How do we manage and nurture online professional networks so that members stay active, build stronger ties, and feel supported? We also kept this follow-up conversation open to issues and questions that were addressed in the panel session at NAEA. We look forward to continuing this exciting series of conversations! 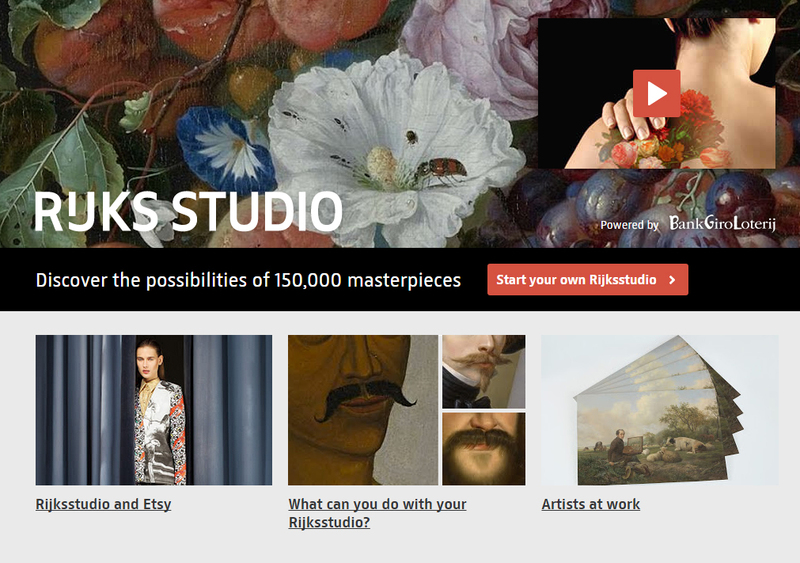 If you have any ideas for a future Hangout or online get-together, let me know and we can work to schedule here within the ArtMuseumTeaching.com community.